The eastern phoebes's nest under the eaves of the garden shed was a success. And now the juvenile phoebes are lounging around the garden, perhaps watching to see if any more of those luscious mealworms are still available. 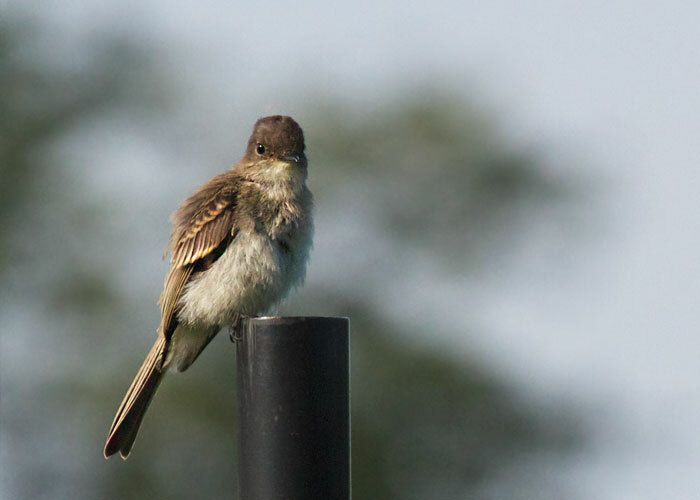 You can tell this phoebe is a young bird hatched this year. Just look at those buffy wingbars. You don't see that on the adults. I wonder if this youngster knows I helped her parents provide a few of the countless snacks that were delivered to the nest.